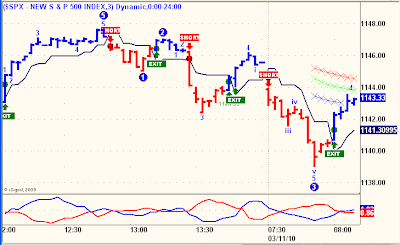 The S&P 3 minute chart as seen through the eyes of EW analysis. 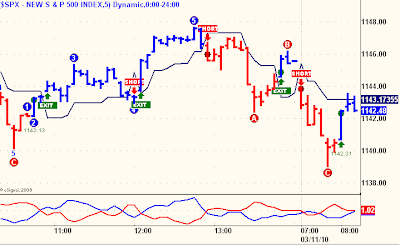 Suggests much more downside to come. One of these counts is probably right.